Debbie Allen was born on 16th January 1950 in Houston, Texas, the USA. her birth name is Deborah Kaye Allen. Her father name is Andrew Arthur Allen Jr. and her mother name is Vivian Allen. Likewise, her father is an orthodontist and her mother is a poet, artist, playwright, scholar, and publisher. She was raised along with her three siblings namely, Phylicia Rashad, Andrew Arthur Allen Jr., and Hugh Allen. She developed her interest in dancing at the age of 3 and she joined dance class at the age of 5. Then, she completed her B.A. degree in classical Greek Literature, speech and theatre form the Howard University. Debbie holds American nationality and belongs to African-American ethnicity. She has 5 feet 2 inches height and has 65 Kg weight. She has black hair coloue and has black-brown eye colour. Her zodiac sign is Capricorn. Debbie Allen went for an audition for the Houston Ballet School but she was rejected on the basis of her skin color. However, after seeing her skill, she became successful in impressing the admission department. After that, she was secretly enrolled by a Russian instructor. She was again rejected at the age of 16 when she was in an audition for the North Carolina School of the Arts because they discouraged black dancer. She then worked hard and focused on her studies and finally, she became successful in making an appearance on television. Moreover, Debbie debuted with a small role in “Roots: The Next Generations” but she hit big after she grabbed the role as Anita in “West Side Story” in 1980. Then, she got an opportunity to become an instructor for the movie “Fame. Then, she debuted directing ‘”The Cosby Show” where her family member was also starred and boosted the show to the top of the rating. She produced and directed the show until the final 1993. She opened a dance academy in L.A, California in 2001 and named it as Debbie Allen Dance Academy. She fulfilled her dream by opening the academy. Her academy teaches the major dance techniques like Classical Ballet, Modern, African, Jazz, and Hip-Hop. Debbie was also a judge and mentor since 2002 for the show “So You Think You Can”. Additionally, she had been appointed as a member of the President’s Committee on the Arts and Humanities by President George W. Bush in 2001. She won Emmy Award three times for the choreography for the series “Fame” and “The Motown 25th Anniversary Special”. She was awarded the Lifetime Achievement Award for her contribution to the dance on February 4, 2009, and many more. The 69 years old, Debbie Allen is a married woman. She is married former NBA player Norm Nixon in the year 1984. Together, the couple have three children, DeVaughn Nixon(1983), who is an actor, Vivian Nichole Nixon(1984), who is a dancer, and Norman Ellard Nixon Jr.(1987) who is a basketball player Previously, she was married to her longtime boyfriend, Win Wilford in 1975 but they separated in 1983. 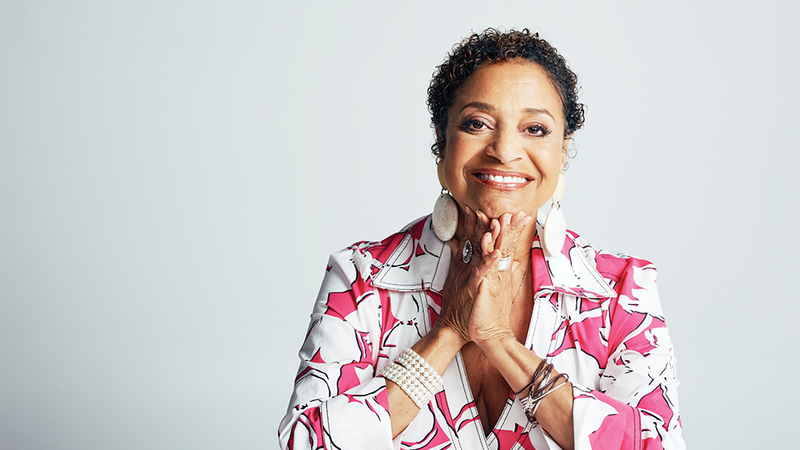 The American actress, TV director, dancer, choreographer, and television producer, Debbie Allen has earned the decent income from her career. She has a net worth of around $3 million USD. Debbie is active on social media. She has around 755k followers on Facebook, above 369k followers on Twitter and around 1M followers on Instagram.